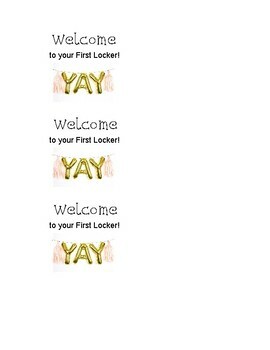 Welcome to Your First Locker Note! Getting a locker is a big deal! Make it even more exciting for your students by leaving them a little note on the outside!